A few weeks ago, we share and posted the hiking information of Bukit Tabur – a unique hill formed by a quartz ridge offering panoramic view of the area. 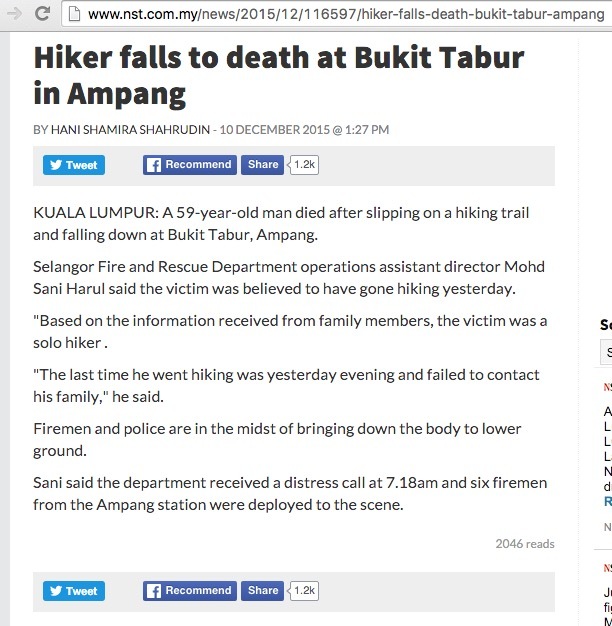 In our post, we mention the dangers while hiking Bukit Tabur, vertical drop of a few meters at certain section. Turn around if you are not confident, don’t push it.